Rather than thinking upon whether you will get a right puppy to bring home, think upon whether you will be the right human for a puppy. Here are some points you should consider. 1. Can You Afford a Puppy? Depending on the breed, a puppy could cost you anywhere from $600 to $900 every year, apart from what you would pay to adopt her/him. Therefore, before committing, plan a budget and know what you can handle. Count the recurring vet bills and expenses for spaying, first exam, vaccinations, heartworm testing and even health insurance. Also consider the amount of food the dog would eat and also if s/he has any special dietary needs. The costs of a trainer and a sitter, and accessories like wee pads, car-seat tether and cleaning products should also be considered. Not to mention, the grooming costs! 2. Are there Children in Your Family? If there are, you should look for a children-friendly puppy. Also your children should be dog-friendly. Make it a point to teach them how to train the pup and respect her/him too. 3. Have You Other Dogs in Your Home? If you have, you will have to introduce your new puppy in a proper way. Watch how the new puppy gets along with your other dogs. If s/he is aggressive, s/he won’t turn into a peacekeeper upon getting her/his new home. 4. Do You Often Go Out for Your Job? If you do and are away for many days from home, think about whether you are in a position to invest in assistance while being away. 5. Are You a Sedentary Person? Answer this question honestly because some breeds of dogs require significantly more exercise than others. Make sure that you can give your dog a daily 30-minute walk. 6. Do You Live in a Small City Apartment? You should also consider how big the puppy will be as a grownup dog if your house is a small and crowded apartment. However, remember also that smaller breeds that are more active can also take up a significant space in their own way. 7. Do You have any Professional among Your Friend Circle who can Help You in Emergencies? You must have at least one such person whom you can give a set of your keys and who can handle the dog’s food and medications and who has your vet’s contact information. Pick A Puppy has a wide range of puppies for sale including tiny toys, purebred, designer mixes, bully breeds and family favorites. 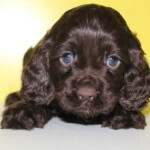 They have professional trainers, groomers and breeders who have years of experience with dogs and who can help you choose the right puppy for you. 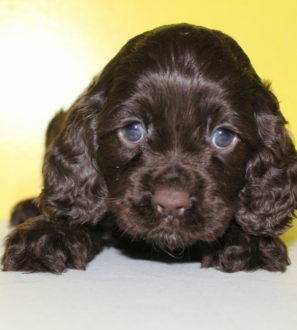 Visit their site to look at their extensive selection of cute puppies.